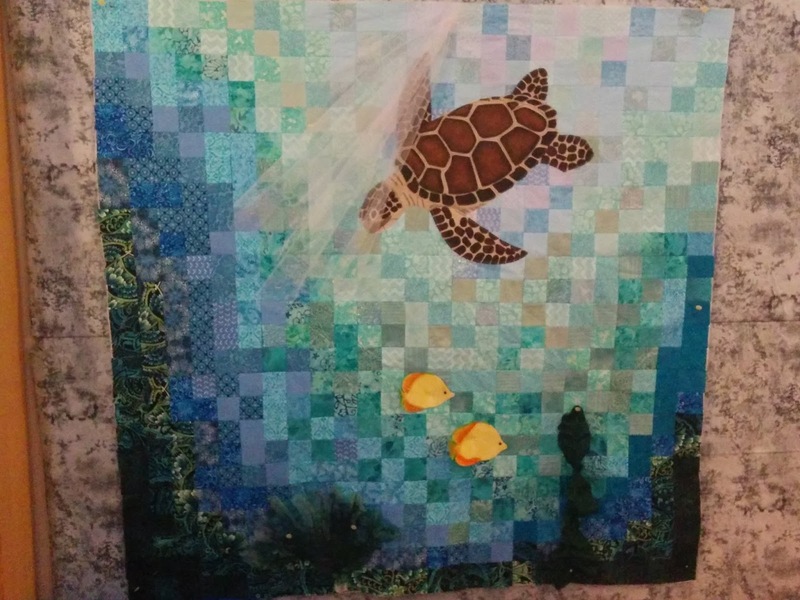 I am pretty much done with my "Turtle Underwater" quilt top. Many of the 3D elements will be sown on the top once it is quilted like the seaweed, the fins on the fishes and the ray of lights. So very happy with the results. This is just gorgeous! I can feel the movement of the water, and sunlight filtering down through the water! Looks like it turned out perfect! Looks just like something you would see while scuba diving. The details will just make it even better. Nice work! Wow, that's amazing! Great finish! This is stunning! Gorgeous use of fabrics and shading. Ditto what everybody else has said. It has a fun spirit about it. Wow! This is amazing! Beautiful work!